Born at Brody, Poland on 26 March 1925, son of Abba and Mary Yanofsky, he came to Canada at the age of one year old. After his father died in 1938, he assumed the position of family provider, working at various jobs during the day and attending public school at night until he completed high school. While attending university, he worked at night to help cover expenses. He served in the Royal Canadian Navy during the Second World War. He worked as a lawyer from 1951 to 1997, and was appointed a Queen’s Counsel in 1980. He was a child prodigy in the game of chess at the age of 11 years. He went on to become Canadian chess champion eight times, North American champion, and later British chess champion. He beat the world champion, Mikhail Botvinnik, in 1946 and became Canada’s first chess grandmaster in 1964. For the next twenty years he was among Canada’s top players. He served as an alderman and Mayor of the City of West Kildonan between 1961 and 1971, and a councillor and finance chairman of the City of Winnipeg from 1971 to 1986. He was a Progressive Conservative candidate in the 1959 and 1969 provincial general elections but was defeated each time. 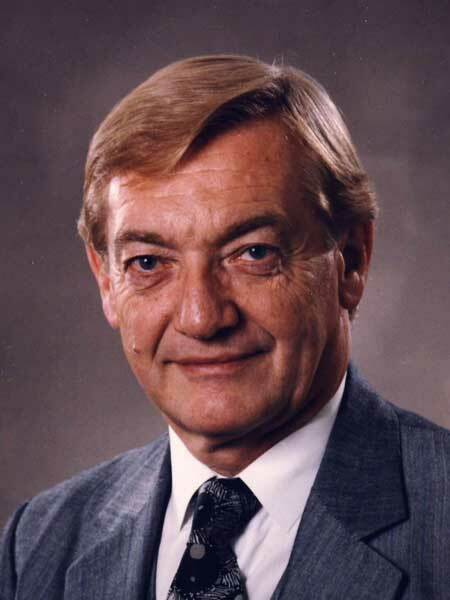 He was President of the Manitoba Association of Urban Municipalities in 1971 and 1972. He was a key player in the conception and development of the Seven Oaks General Hospital and the Wellness Institute. He retired from politics in 1986. In 1972, he was awarded the Order of Canada in recognition of his many achievements. In 1977, he received the Queen Elizabeth II Silver Jubilee Medal. He died at Winnipeg on 5 March 2000. Obituary, Winnipeg Free Press, 7 March 2000.